The Kappa Sigma Chapter of Beta Beta Beta National Biological Honor Society is an outstanding organization that honors biology majors and minors and Science Education majors at Judson. Membership in Tri-Beta requires a minimum 3.0 GPA, which must be maintained for active membership. 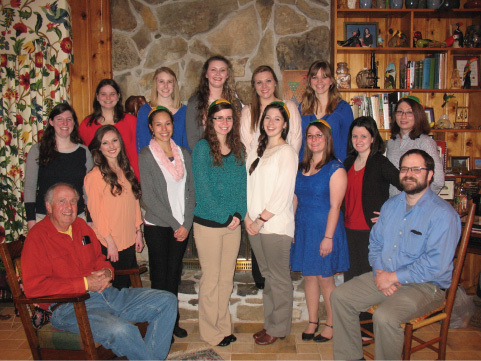 Beta Beta Beta participates in health related community service projects. Each year the Society recognizes an outstanding freshman member with an award at Honors Convocation and with a name plate on the Society Plaque. Monthly Science Club meetings allow Judson students to learn about a variety of topics beyond the information presented in the classroom. 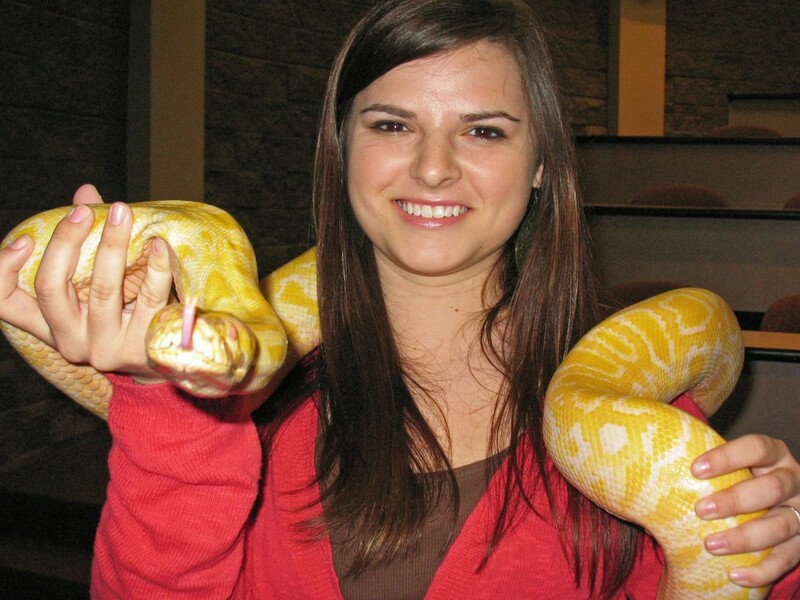 Guest lecturers lead discussions and presentations that introduce students to a wide range of science professions and opportunities. Often, deans of Admission from various professional schools visit Science Club meetings and talk with students about preparing competitive applications to their professional schools of choice. All Judson students are invited to join the Biology Department’s Earth Team. This organization plays a major role in maintaining the Perry Lakes Park trail system. The Earth Team is presently working on a trail system and tree identification project at the Eiland Cahaba River Outdoor Laboratory. 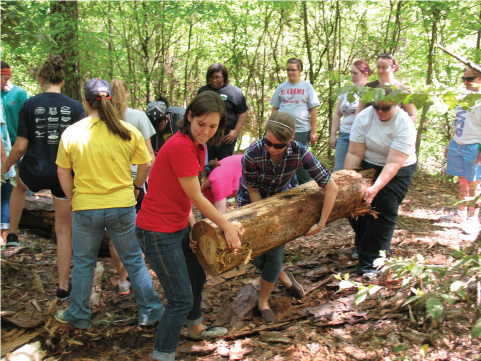 Earth Team members have done community service project in Marion involving treescapes and tree identification. 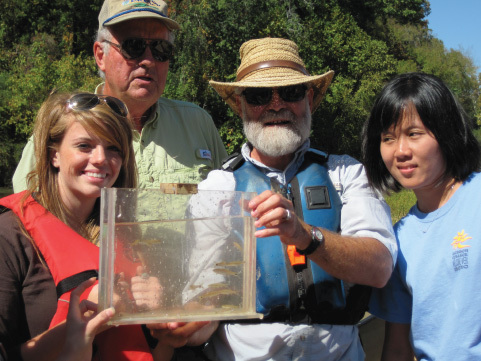 Judson College has the only college chapter of the Cahaba River Society (CRS). This student club was formed in 1976 and has conducted numerous projects such as testing water in the Cahaba River, coordinating membership drives for the CRS, and working with the CRS in sponsoring educational canoe trips down the Cahaba River.